Indy Stair Lifts’ rental program provides families with an affordable solution that prevents falls, increases mobility, and makes it easy for individuals to spend quality time at home with loved ones. Our stair lift rentals provide the ideal solution for those who need a stair lift at home for a limited time without having to purchase a permanent unit. It may be ideal for a loved on staying for an extended visit or anyone who requires temporary access to a second floor via a stair lift. 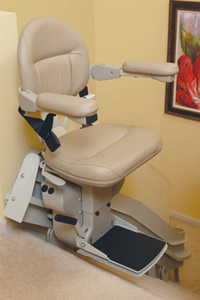 Indy Stair Lifts rents a variety of high-quality stair lifts to anyone who wants to avoid the expense of purchasing. We offer straight and curved stair lift models with weight capacities up to 500 pounds with seat widths up to 25 inches that accommodate all body types. Our stair lift rentals also come with a number of safety features, including safety sensors that stop the lift if it meets an obstruction and indicator lights that ease operation. The Indy Curve stair lift is created to fit the exact specifications of your stairway to reach around every corner of your staircase. Indy Stair Lifts will evaluate your home to accommodate your stair lift rentals and install them with trained professionals. 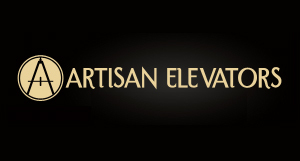 We also offer plans to turn long-term stair lift rentals into purchase at an affordable price. Indy Stair Lifts is a division of Nationwide Lifts, the national leader in the home elevator industry that provides high-quality, top-of-the-line stair lifts at an affordable rate. We’re proud to assist individuals with hampered mobility, and are dedicated to providing increased access to the upper floors of your home and give you back the independence you thought was lost. Call us today 888-203-5754 for more information about stair lift rentals, which may be the perfect answer to the mobility needs of you or your loved one.